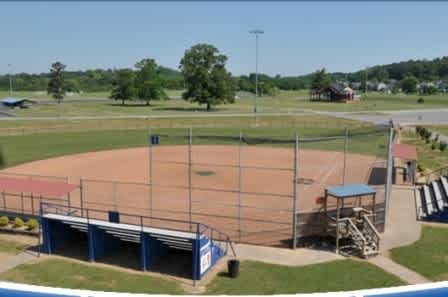 I-75, Exit 1 in East Ridge, TN is the home of beautiful Camp Jordan Park. 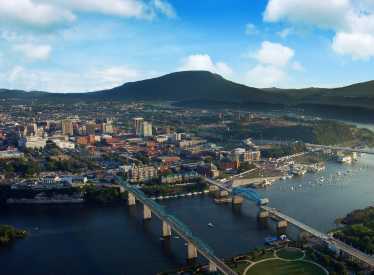 Centrally located one mile across the state line out of Georgia and 12 minutes from downtown Chattanooga, the 275-acre Camp Jordan park is less than an eight-hour drive from some of the largest cities in America. 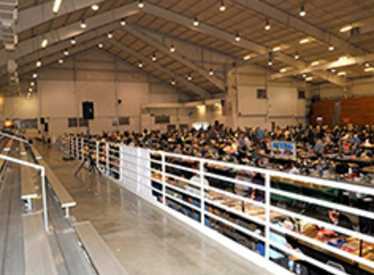 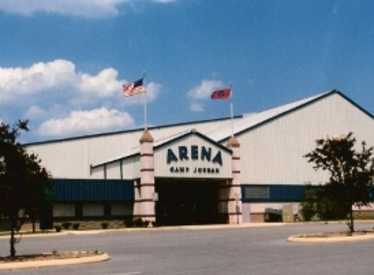 The Camp Jordan Arena is 34,000 square feet and seats up to 5,500 people for a variety of events. 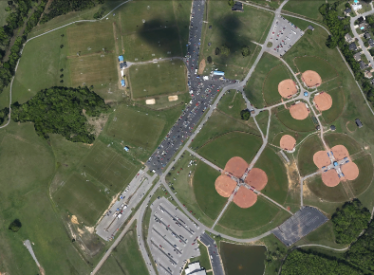 The parking lot holds more than 1,000 vehicles and a nearby RV Lot has 300 spaces available to campers. 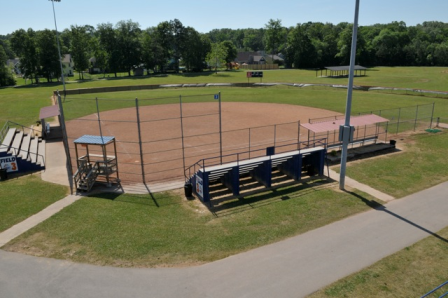 The picturesque park has 13 Musco-lighted baseball/softball fields and 12 soccer fields. 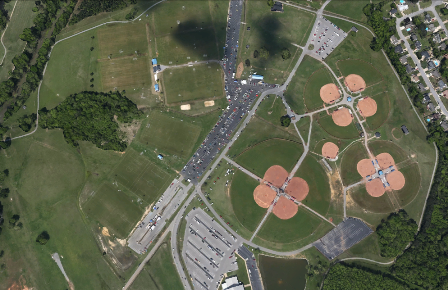 The soccer fields are also used for Ultimate Frisbee and Lacrosse play. 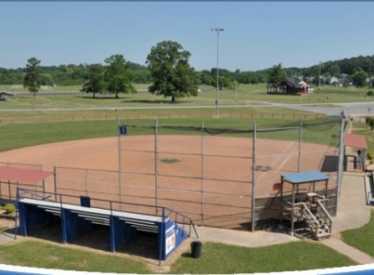 The Amphitheater features a large stage and is home to the Jfest Christian Concert, Libertyfest, Bugapalooza and other concerts. 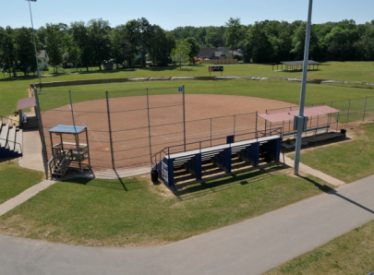 Camp Jordan has a paved 2-mile walking track, fishing pond, picnic pavilion and a 19-hole disc golf course.